I hope you find some time to play along with us - I would love to see your take on the challenge, too!" For more information on challenge click HERE! 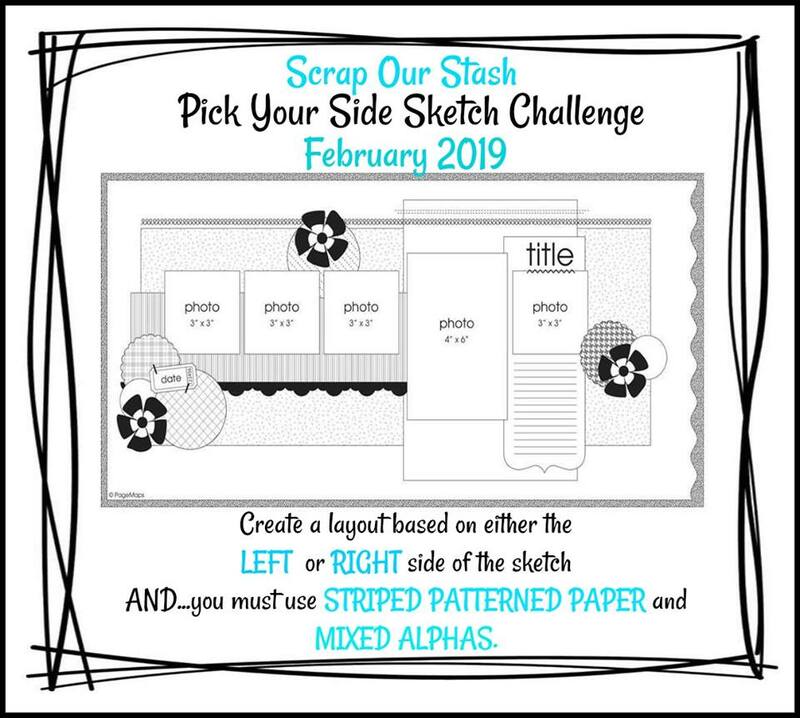 our Pick Your Side Sketch Challenge! "Hello SOS fans! Chris here to share my layout usiing the left side of the sketch. 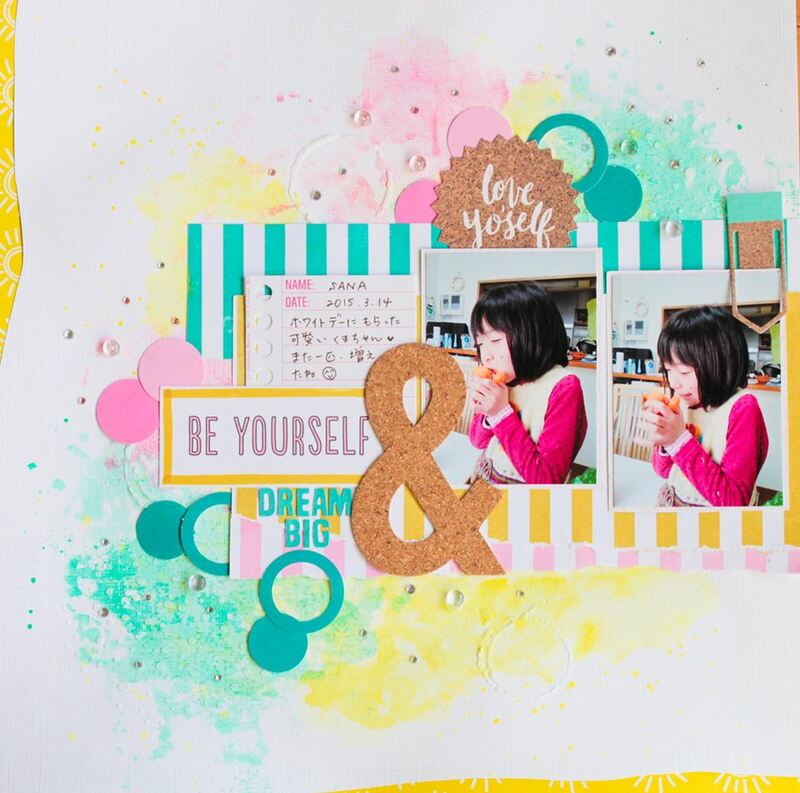 I used lots of Amy Tangerine goodies including papers, washi tape and two different types of puffy stickers. I also used the required striped paper and mixed alphas for my title. This is my granddaughter with her uncle's new puppy, Luna. chance to win a Gift Card!!! "Hey everyone. I have my take on February’s Pick Your Side Sketch Challenge for you today. 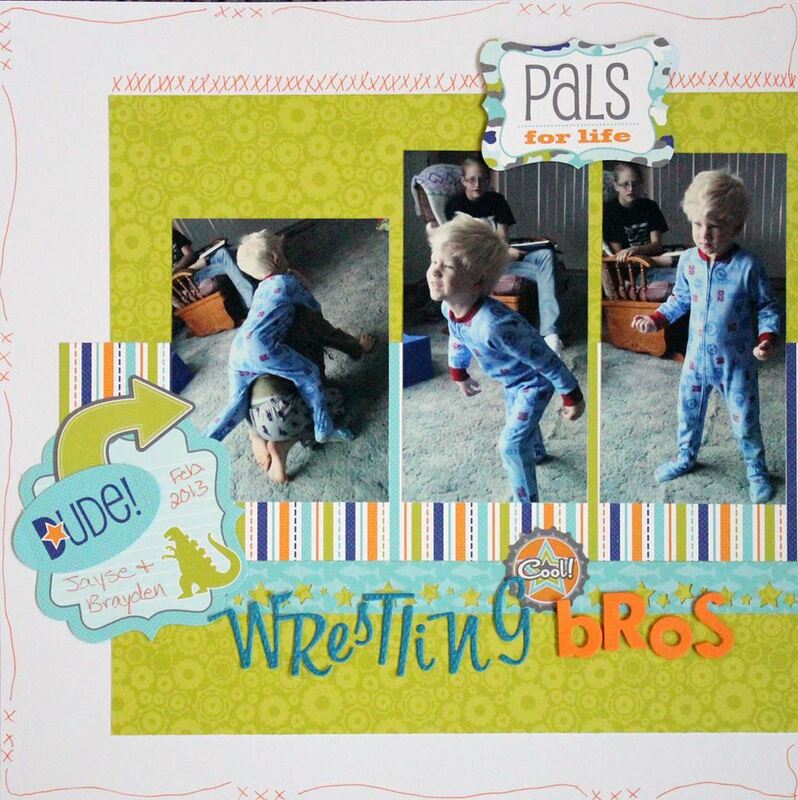 I picked the left side of the sketch and using dies, cut circles from striped pattern paper. I used mixed alphas for the title. Thanks for stopping by and I can’t wait to see what you create." 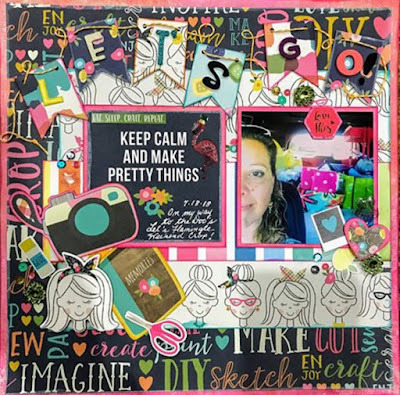 Just a few more days left to get your layout uploaded to the side bar!! "Have a good day!Hi SOS friends! 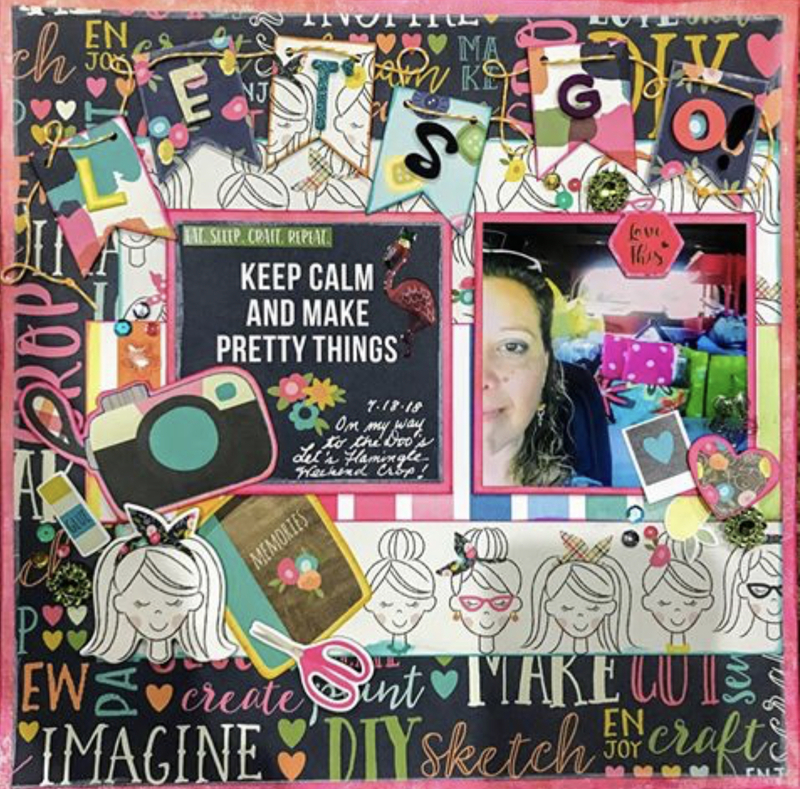 Carmen’s back with a new layout for the PICK YOUR SIDE SKETCH CHALLENGE. This time I choose the right hand side of the sketch, love all the layers and two different picture sizes. Which side inspire you most? Can’t see your beautiful creations! Come play along!" Which side will you pick? 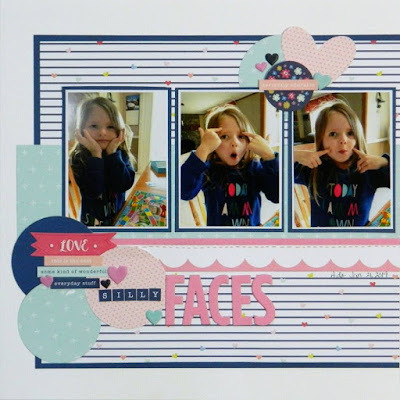 You have until the 28th to upload your layout to the side bar! Ashley here using the right side of the sketch. I dug out the Welcome Home collection from Carta Bella to document our Thanksgiving. The alphas I chose are Thickers and Elle's Studio. Åsa here today to inspire you. I picked the left side of the sketch, but I did it a little bit more minimalistic. And I ´ve used striped paper and mixed alphas so check at the rules. This is my big boy, can´t believe he turns 17 this year. He´s hard to get in a photo nowdays and this photo is from a couple of years back. He doesn´t want my hugs that often and he isn´t that interesting in talking to me either.... I hope this fase will end soon..... And the answers I usually get when we´re texting are: A or Aa or Aaa. that means: Yes or Yees or Yeees (then I know he´s done with me and want me to stop texting). But he dosen´t get rid of me that easily, LOL. Love him! "Hello SOS friends! Tiffany here with my take on the Pick Your Side Sketch challenge for February. 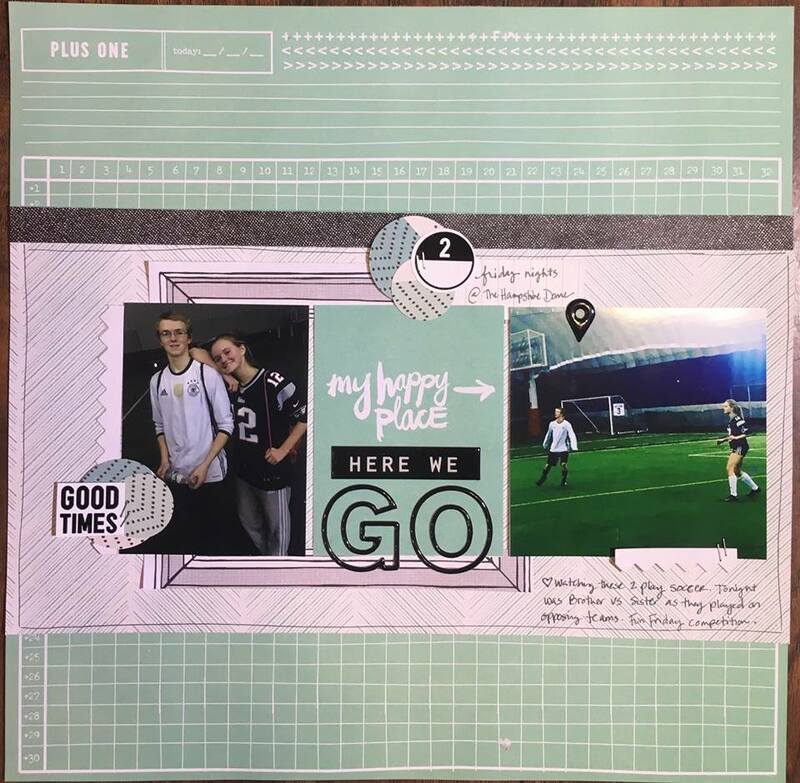 I had 2 photos of my kids playing soccer, so chose the left side of the sketch and added the "my happy place" card in place of a 3rd photo. I used several different striped pattern papers from my stash, punching circles from the paper to mimic the circle embellishments in the sketch. Looking forward to seeing your take on this Pick Your Side Sketch challenge." "I picked the LEFT side of the sketch and used lots of stuff from the Simple Stories "Crafty Girl" Collection. This is a photo of me on the way to a weekend scrapbooking crop. I had fun using mixed alphas on the banners I made across the top - definitely not something I would usually do - but it really was fun, and I like how it turned out - I hope you do too - and that I've inspired you to play along with us at the Scrap Our Stash Blog this month! Good Morning & Happy Saturday! "I chose the left side of the sketch, added my striped paper under the photos and used 2 different alphas for my title. I love challenges like these because I have loads of alphas that I need to use but it's so much easier to slap a premade title on. So this is perfect to help me look through my stash and pull out these fun alphas!" 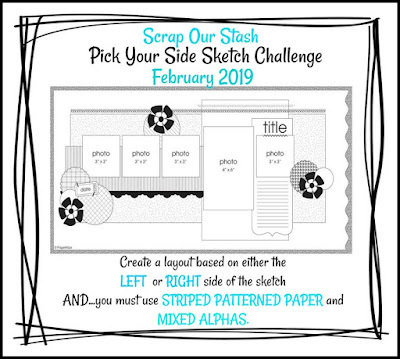 Pick Your Side Sketch Challenge! Create a layout based on EITHER the left or the right side of the sketch. 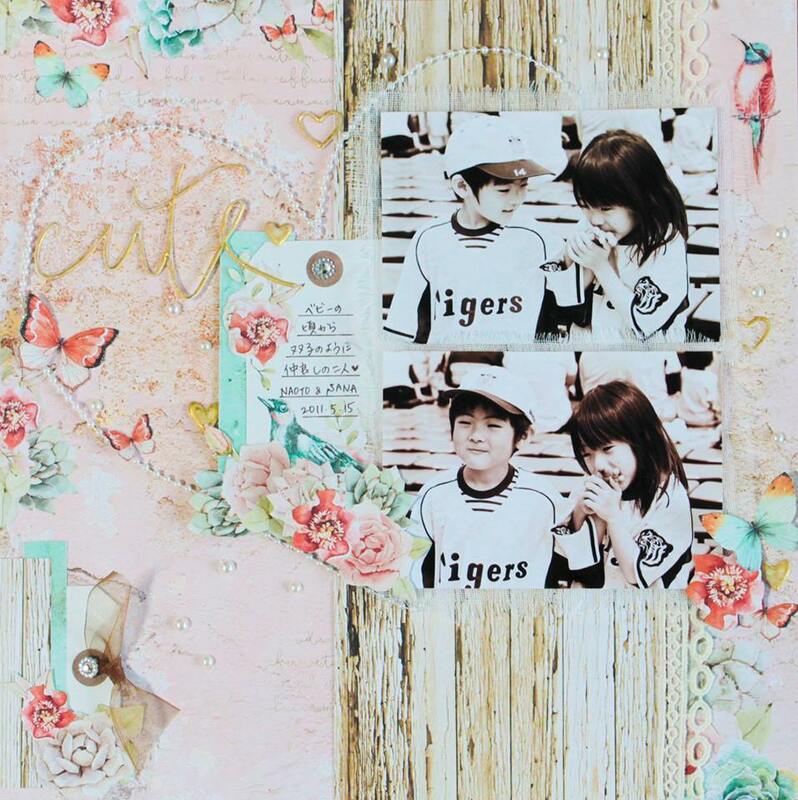 ALSO, you must include STRIPED PATTERNED PAPER AND MIXED ALPHAS on your layout. When posting your layout, please indicate what side you used. Make sure you upload your layout to the sidebar. Click HERE for SOS Challenge Guidelines. 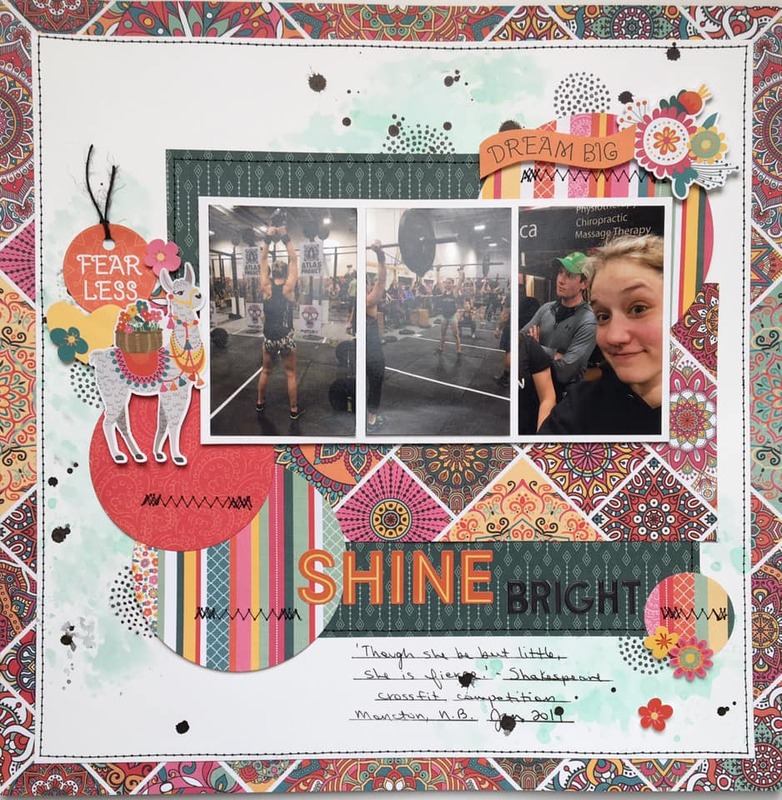 inspiration from this challenge by our Designers! "Hello, everyone! Lori here today with my take on the Saturday Morning Cartoon Challenge. I love this sketch and stuck pretty close to it for my layout I also really like the colors in the cartoon image, so I kept my colors to grey, pink, black, and green - although my green is more mint green. 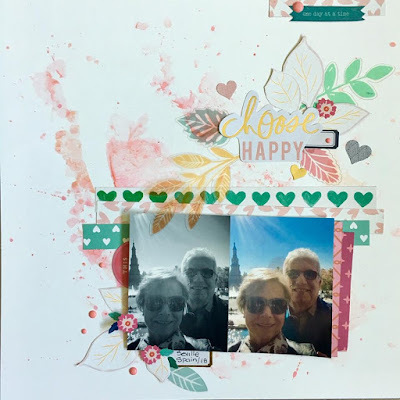 I did use a heart patterned paper - it's just a little hard to tell since the hearts are so tiny and I used several chipboard and puffy hearts, too. I would love to see your take on this fun challenge so be sure to link up your layouts! 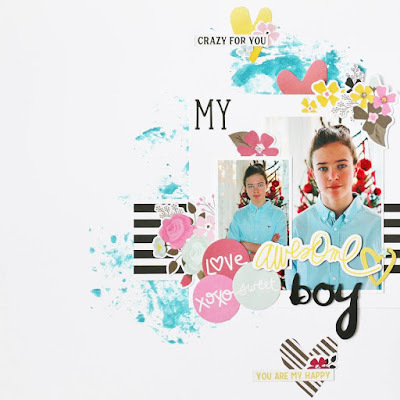 to link up your layouts on the right side of our blog. Thank you for taking the time to visit us. We are looking forward to seeing how each of you interpret this month's challenge. "Hello SOS friends. 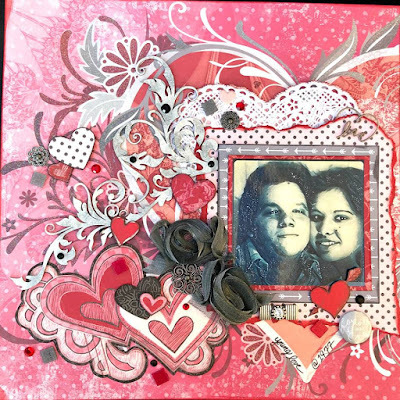 It's only a few days until Valentine's Day and this challenge is so perfect. I cut my heart on my Silhouette and used the negative circles to create my heart. I used Simple Stories and Bella Blvd from my stash. 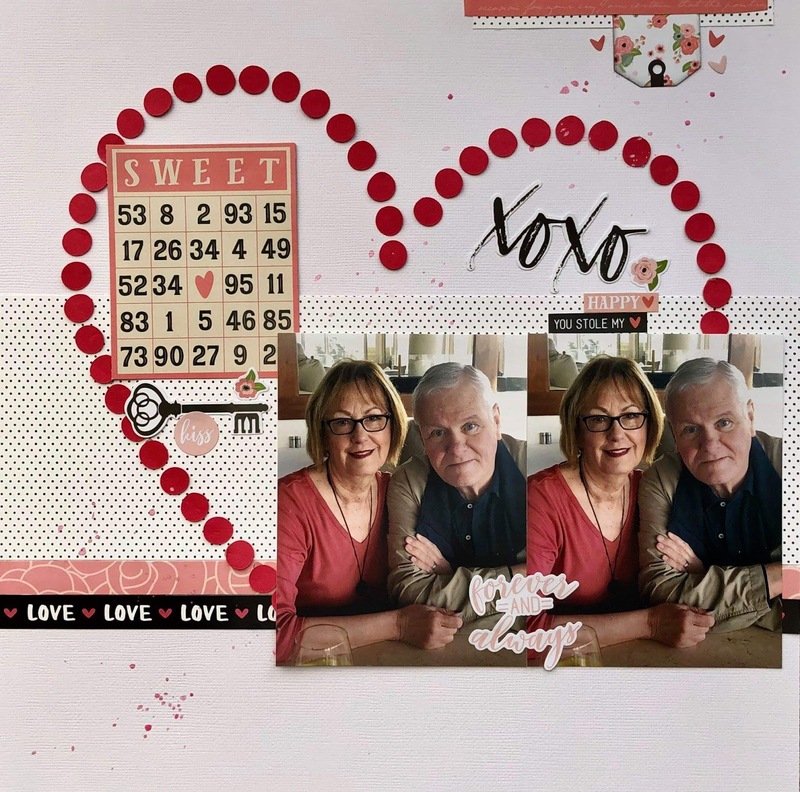 I used three tiny hearts at the top surrounding the tag and my word stickers and bingo card also have hearts. I hope you come play with us and show us some sweet love!!" Clcik HERE for complete challenge details and rules. "Hey everyone. Here’s my take on this month’s Saturday Cartoon challenge. Popeye and Olivia inspired me to create a page of my daughter and her fiancée. I don’t have many pictures of just the two of them so I chose this photo of them with my grandson. For the stash portion of the challenge I added some ephemera, sticker and chipboard hearts. Thanks for stopping by and I can’t wait to see what you create!!" Click HERE for complete challengecdeails and rules. "Hello SOS friends! Today I’m sharing my layout for Saturday Morning Cartoon Inspire Challenge. It’s all about hearths! 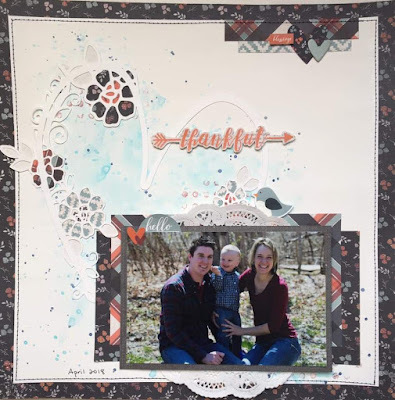 You must create a layout based on the sketch and use heart patterned aper and/or 3 hearths on your layout. I did choose stripes of patterned paper, also added 3 little hearths around the title cluster. I had lots of fun with this one! Hope you will, play along with us!" 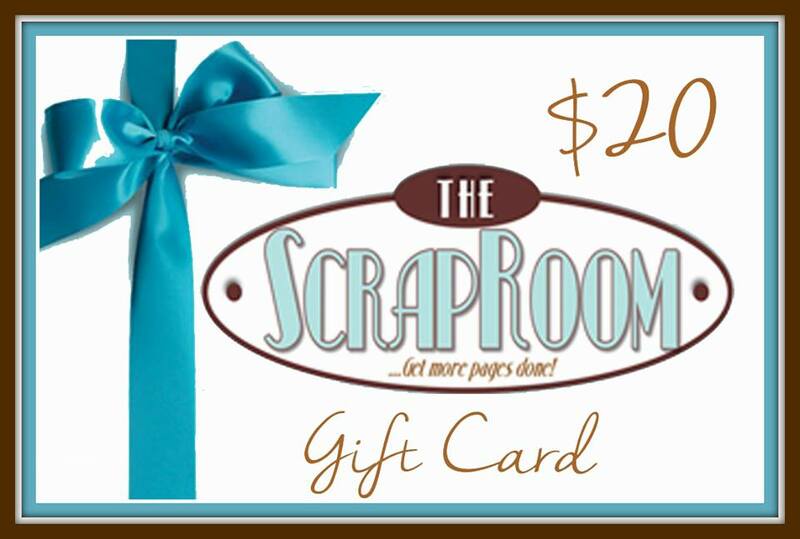 Interested in playing along with us this month? Click HERE for challenge details and rules. Hello and thank you for stopping by to check out today's feature. 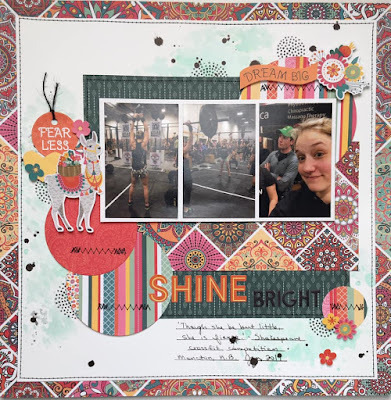 Ashley here today sharing my take on this challenge! 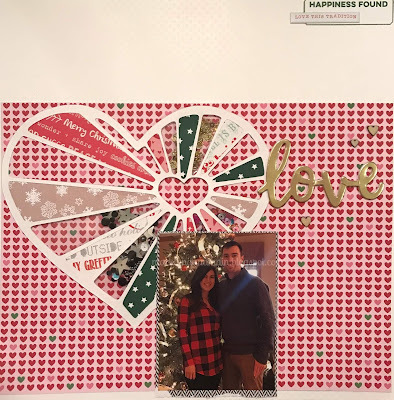 I loved this heart cut file and backed it with some patterned papers + some shaker sequins. 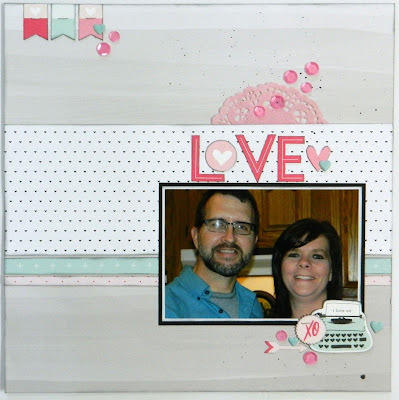 This heart patterned paper is from Bella Blvd and I've had it in my stash for quite some time!" 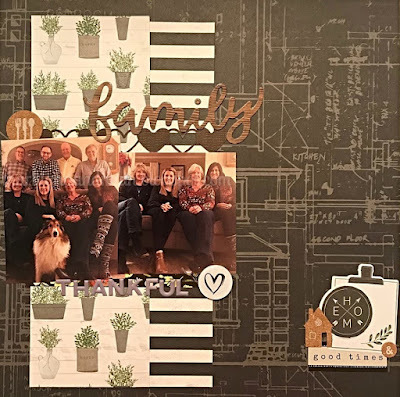 If you would like to join us in this challenge....click HERE for the complete challenge details and rules. Our team is looking forward to seeing all of the different ways each of our followers interpret this month's challenge. Have a great day and return tomorrow for more design team inspiration! "Hello SOS friends! Tiffany here with my take on the Saturday Morning Cartoons Sketch challenge for February. 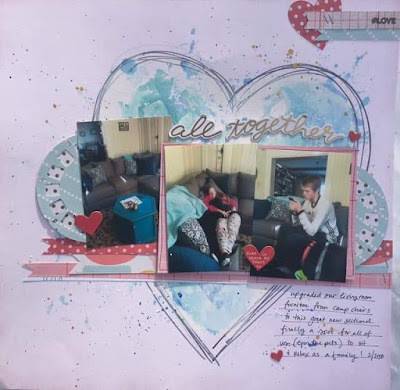 I took inspiration from the colors in the Popeye picture to make my mixed media backgroup in blues over a pale pink background. 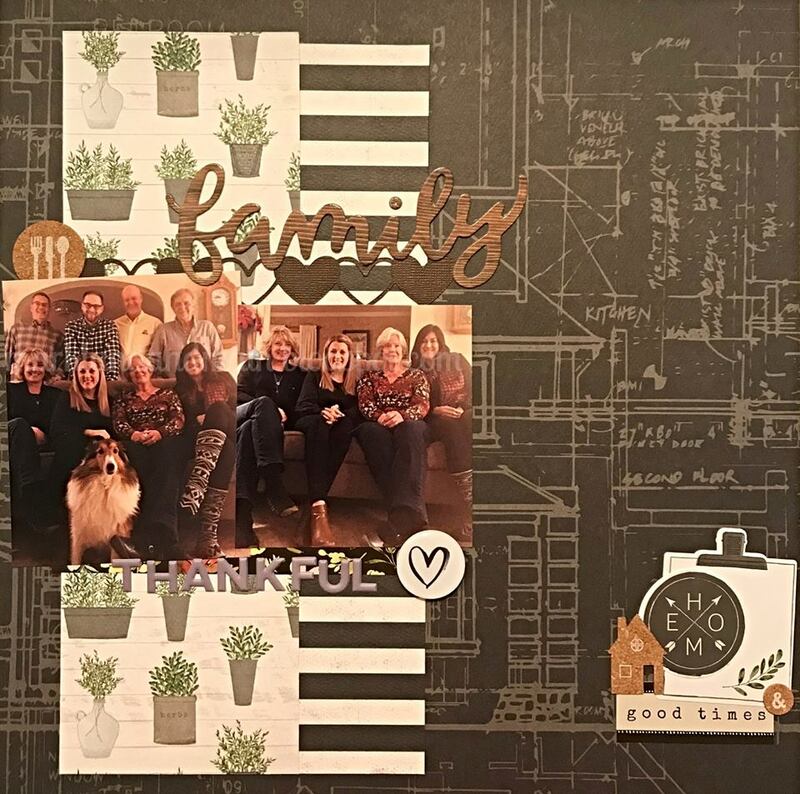 I layered my photos over strips of pattern paper in my stash, and cut out the bracket edge of a tag to tuck under the left photo. 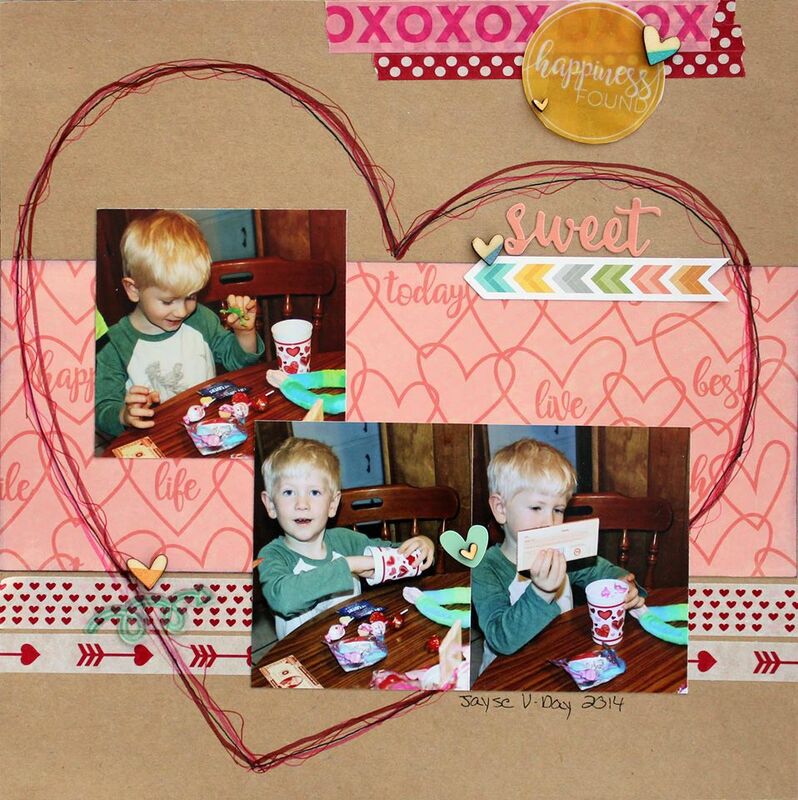 For the 3+hearts, I added 3 chipboard hearts and a punched heart in 4 places on the layout. 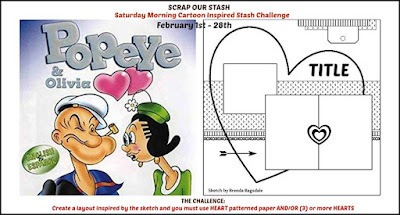 Looking forward to seeing your take on this Saturday Cartoon Sketch challenge." For complete challenge details and rules, click HERE. "Hi friends! 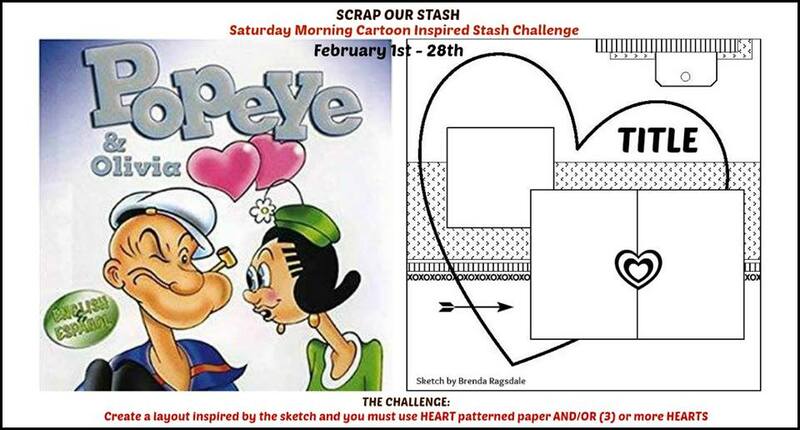 I'm happy to share my layout for the Saturday Morning Cartoon Inspired Stash Challenge. I was inspired by the hearts and it reminded me of my daughter and her childhood friend. They were inseparable and always together like Popeye and Olivia. I rotated the sketch and used horizontal pictures. 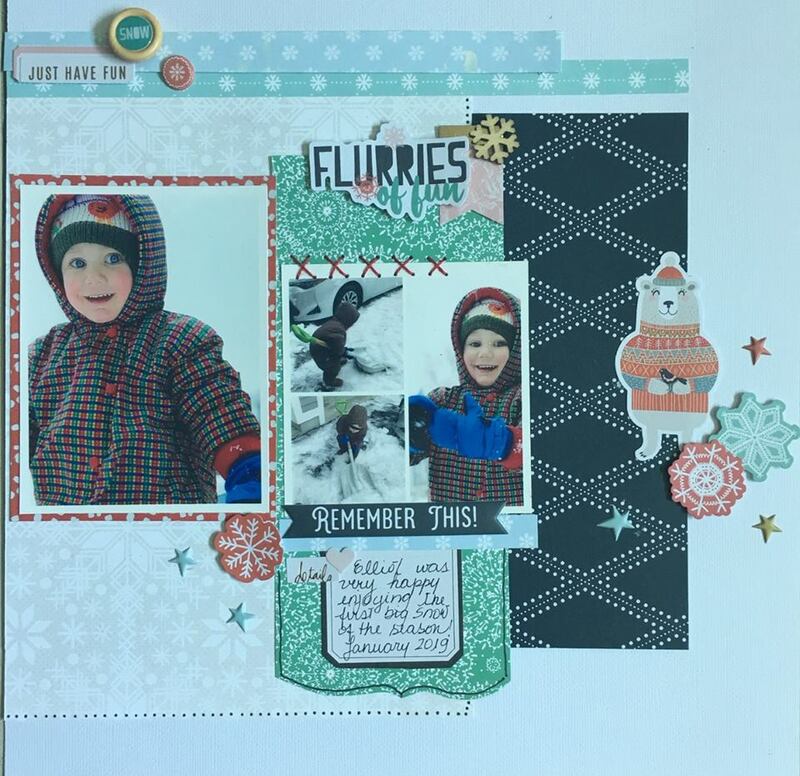 Return tomorrow to see what Designer Sherri Caramico created based on this month's challenge. "I LOVE this sketch! So fun to use. I used washi tape along the bottom and top. To do my heart I cut a heart out of a 12x12 paper and then trimmed bits until I liked what I had. Then I traced it onto my layout w/ pencil and went over that multiple times with different colors of markers. 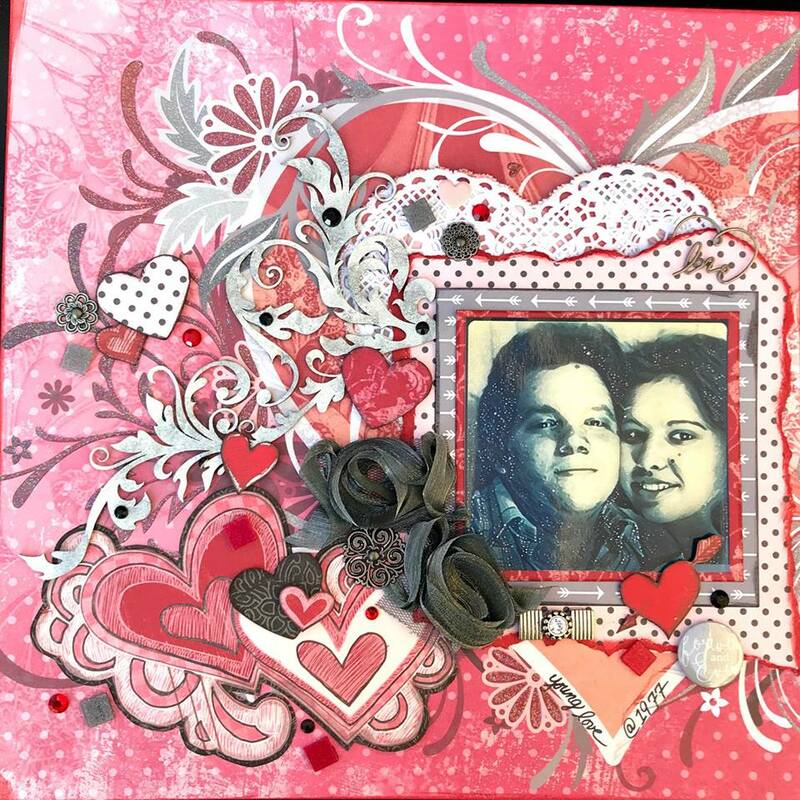 I used both heart pp and more than 3 heart embellishments. 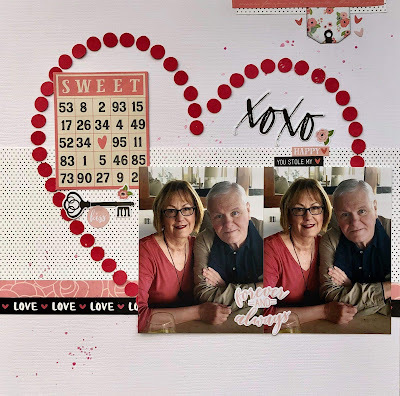 I let the hearts and love theme of the cartoon inspire my layout. Can't wait to see what you do with this challenge!" to link up your entries. Our team is looking forward to seeing how each of you interpret this month's challenge. Have a wonderful weekend and thank you so much for visiting our blog! created, inspired by our new challenge!! !